Record Store Day is almost here!!!!!! I have been a record collector for as far back as I can remember. I remember every turntable I’ve ever had and the records I played on them. The little portable record player with the pink satin lining on the inside – I played the Sound of Music soundtrack on that thing a million times. And the stereo I had as a teenager that was a mish-mash of components but sounded so good – that one played a lot of Michael Jackson’s Thriller. As a certified music nerd this is my favorite day of the year. Record Store Day 2017 will take place this Saturday, April 22th. Record Store Day is all about friends, family, vinyl, music, and supporting your local record store. 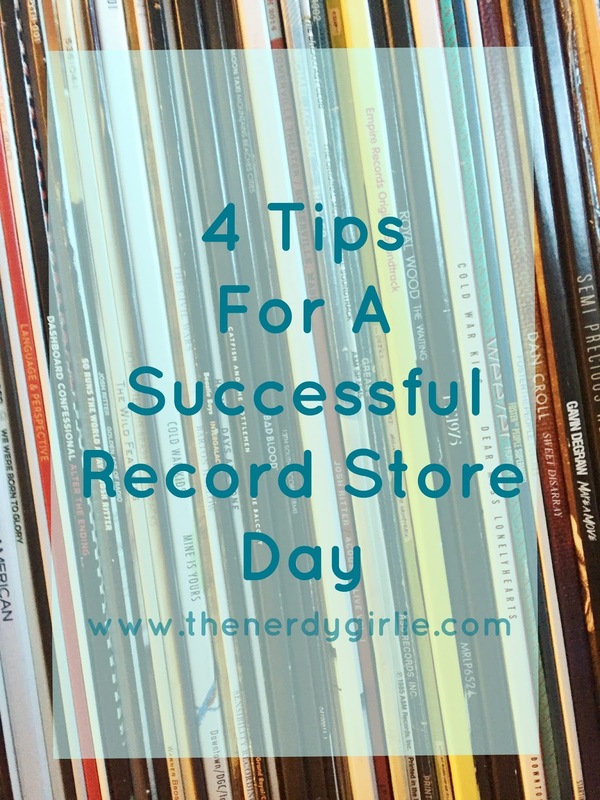 I have a few tips for you before you head out in search of your favorite records. 1. Find A Store. Check out The Record Store Website to find participating record stores. These stores will have the limited releases that come out just for Record Store Day. 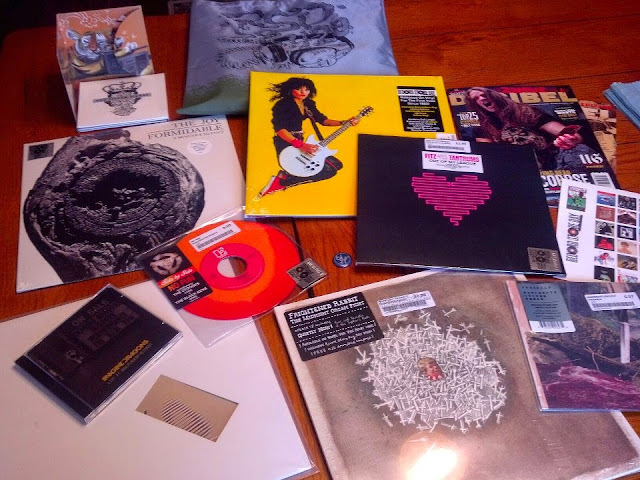 The RSD releases are what collectors get really excited about, but many of the stores will have lots of extra freebies to give away, too. I’ve found some cool new bands through the samplers given out on RSD. My town only has one record store chain – but 3 locations. You might want to call ahead and ask them which RSD releases they think they will have. They can’t give you a guarantee, but in my experience they will be honest about they think they might have on hand for the big day. You might need to hit a couple stores to get the item you want. This year I will be hitting up several stores -- my local store and a couple in Denver as well. 2. Make A List. Go to The Record Store Day website and you can see the complete list of Record Store Day releases. They have a handy PDF that you can use to make your wish list. I made my list a couple weeks ago and will have it in my hands on Record Store Day. If your list is long like mine it’s hard to remember it all. A printed list is a MUST. 3. Bring Friends/Enlist Help. 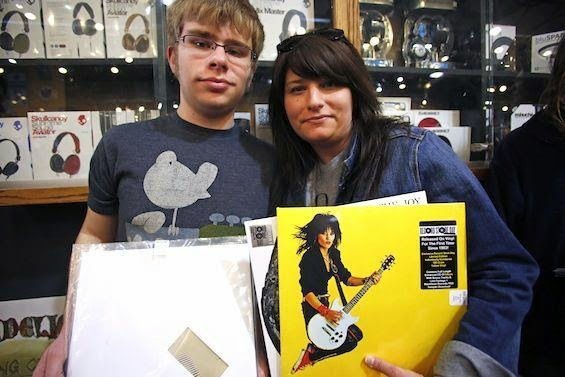 Record Store Day is a family holiday – my son and I always go together, and we usually have other family and friends with us. Make it a party! We line up early together and we share our lists with each other so we can help get the vinyl treasures we have on our lists. Some stores put all their RSD releases in one spot, and others place the items all over the store and you’ve got to search for them. I’ve yet to get everything on my list, but having someone else with you makes the day a bit more successful…and fun. Here’s my swag from last year – can’t wait to see what I come home with this year! 4. Go Home and Play that Vinyl! For the most part I play my records. I mean what’s the point of special releases if they’re never gonna see a turntable!? For those special records, I might buy two – one to keep sealed and one to play. Play that music – it’s meant to be shared!